Biznes Filmowy / Movie Business – A game for fans of films and cinema. Today another set update. Which contains73 creators and 131 photos. The update will take place after launching a new game with the default set of creators (details can be found here). After this update, the official set will contain 4275 creators. P.S. The first update of the game itself is coming, so if you found any bugs that needs to be fixed this last days to let me know. In the Movie Business you will find descriptive reviews of your movies this is one of the features of the game with which I am quite proud of but mainly… with the Polish version. When I decided to create an English version of the game, there were many texts that need to be translated, that the only way to do it in a reasonable time was to use the automatic translation function. Unfortunately, the Polish language is quite complicated, and the result of such a translation leaves much to be desired. Hence, I decided to provide you with a tool that will allow you to suggest a better version of existing reviews. The tool will be available in MovieStats in the tab Reviews. Poll. How often do you read descriptive reviews? It's been a long time since there was a last poll. So today is a new about descriptive reviews available in the game. How often do you read descriptive reviews? And the question is indirectly linked with the new functionality, which should appear in a few days. We already have the premiere of Movie Business edition 2019 behind us (although soon the first update is planned to fix some bugs that have already been reported to me – if you had some, let me know). This does not mean, however, that I rest from work on the project. In the end, I could take a moment to work over MovieStats. And today about two functionalities that have appeared there (some of you have already used them). Movie Business 2 Edition 2019 available for download! Yes, today is the day. After several weeks of intensive work, I would like to present Edition 2019 of Movie Business 2. Before you download the file, however, a few summary words about what you will find in this version. 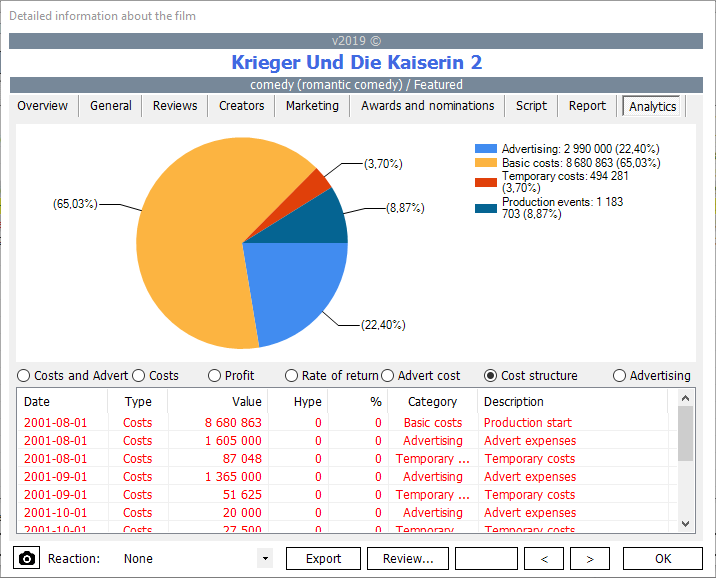 Read moreMovie Business 2 Edition 2019 available for download! Till the release of 2019 Edition of Movie Business there is not much time left. So it's time for a final summary of all the new features along with several author comments. As usual, the corresponding text, this year, titled What's new in edition 2019 of Movie Business 2 you will find at my personal blog. This is a summary of all post that you had the opportunity to read on the game page, but even if you followed them carefully, it's worth looking not only because there was a few additional information, but also to see images from the new version of the game. A link to this post has, of course, been added to the section Director’s cut and now I invite you to read a long text about What's new in edition 2019 of Movie Business. The 2018 Edition among the events that may appear during the production were those related to the reaction of the audience after the test screening. It was an event somewhat detached from the reality of the game, because the player could not organize such a show. Expanding the potential events in the course of production I decided to fix it. In the latest version on the occasion of major productions, just before the premiere, the player will be given the opportunity to organize such a test show. Its result will be feedback from viewers and critics, what went wrong in the film. 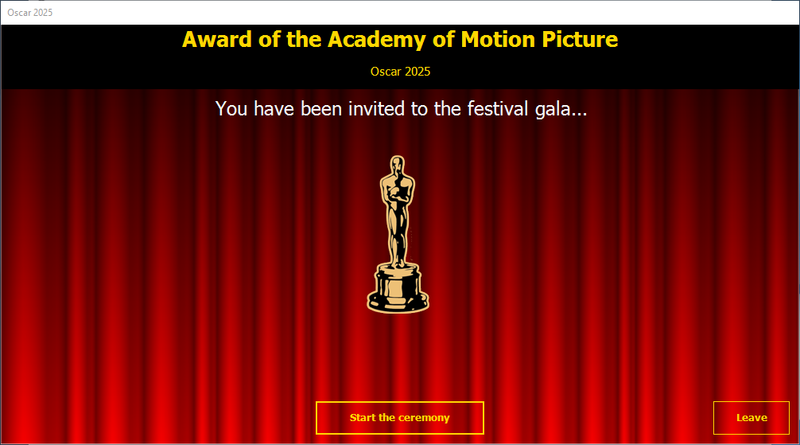 Festivals and awards are a very important element of the film world. In Movie Business they also play an important role. However, up to now, the celebration associated with festivals was not too great in the game. To say the truth, the player could even miss the fact that his film won the prize. In the new version it will change, in the end the festivals will definitely get a more celebrity setting ... thanks to the festival gal. A few days ago contacted me Artur Dędek from the blog Games Galwho asked about the possibility of conducting an interview with me in the context of Movie Business. After a short thought, I decided that, why not. So today I have the pleasure to invite you to an interview with my person on this blog, which on every day brings together RPG Maker enthusiasts. The interview was carried out by the communicator so excuse the stylistics of some statements. The whole, however, is quite extensive and it seems to me that it came out quite interesting. 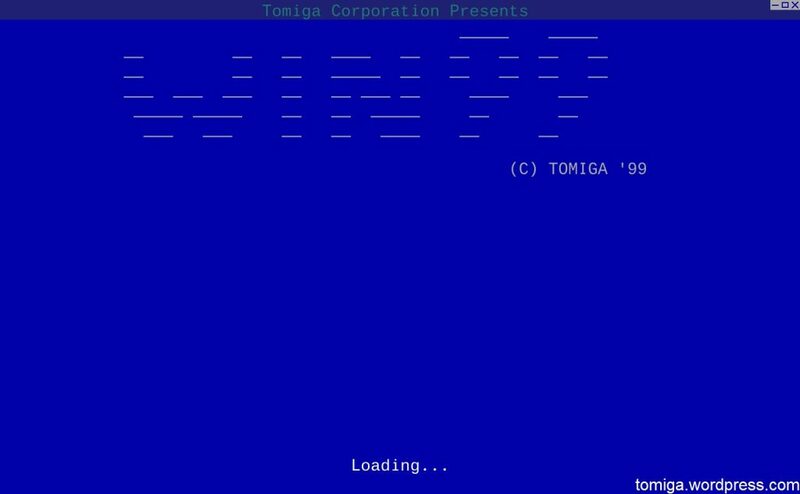 Perhaps you will find there some interesting facts about the history of the creation and the process of game development. So, I invite you to a long read, just right for Sunday evening. Today about the most advanced mechanics that will be introduced in the Edition 2019 of Movie Business - something that I've named during working: motives and tag. A large part of the beginner players are still complaining about the unpredictability of the game (more specifically, it can not be reconciled with the fact that one movie brings huge profits while the other, similar at the first glance, makes a lot of losses). It seems to me that the core issue is not the unpredictability itself, but the lack of tools to analyze what is happening in the game. Hence, in the new version, such a tool will appear in the form of simple analytical tools. One of my lecturers from Human-Computer Interaction course asked us once how much the application should have modes?… The correct answer was… 1. It is clear from this perspective that Movie Business is a badly designed application with 4 game modes. Unfortunately, life is not easy and different users have different needs and preferences, hence the number of game modes in the Movie Business will be greater than 1 ... However, observation of players' behavior has made me realize that some changes are needed in this area. It seems to me that the mechanics of the investments in paintings and cars it is not used currently too often by players. I decided that in the next version I will give you more reasons to use it. Well, you can give gifts in the form of cars or paintings. Who will you be able to give them and for what? New survey forum does not last too long. It is true that the opinion as to the need to have are divided into (a bit more followers) was not, however, an overwhelming advantage. Finally the creation of a new forum decided to so my thoughts. I found that would do well, however, the place where in a broader circle, you can discuss some of the issues related to the game. The first new functionality that will appear in the 2019 edition, about which I would like to tell you are character types. Until now, creating a movie based on a specific scenario during choosing the actors it was best to fit them to the genre of a given movie. For example, for action films, we usually chose actors with a large action parameter. This strategy worked very well in the game, but it was a certain simplification in relation to reality, because not always the best action movies consisted of heroes whose main attribute was overall physical fitness. The best action films in history, apart from the interesting hero, also had interesting villains – and often side characters with different characteristics that gave them uniqueness. In addition, placing X characters with similar characteristics in the movie strongly limits the target audience to lovers of a particular genre. Work on the 2019 Edition started! The faithful fans of the game know that end of the year is the time when I work more intensively over the next edition of the Movie Business game. So today I can officially confirm this. So, work over Edition 2019 Edition has been started. Apart from this annoucement I have today also some general information about the content of the next edition. Read moreWork on the 2019 Edition started! Poll. Do we need a new discussion board? Well? Today is launched a new poll concerning whether the Movie Business needs a new discussion board. You have to admit that the idea of the discussion boards lataely lost in importance. The Movie Business still has the old forum that is already dead. Do you see the need for its reactivation in a new form? Read morePoll. Do we need a new discussion board? The next update of the 2018 Edition is ready for download. It does not make too many changes, but corrects several errors, and improves the game balance. For a complete list of changes see version history. The game you obtain it, as usual, with the subpage Download MB2. This version also updates the set makers to 51 version that adds 169 creators. Remember that some developers could get to the waiting room with a relative too modest filmography (or too few significant roles). Of course, as always, I look forward to your comments, ideas, reactions and of course information about problems or errors. If you have not heard about the Movie Business and you are here for the first time, you can also refer to the section Director's Cut and Help page, where you can find a lot of information that can help you in the early stages of exploring, this already quite extensive, games. Recently a lot of you adding your own proposals of creators with MovieStats. Although I was very happy, but there are cases when your suggestions may not be accepted. The reasons for this state of affairs are of two types: formal or technical. Hence I decided to to the current status of the creator accepted or rejected introduce two new statuses, which should somewhat clarify the reason not to accept the creator at any given time, which can, however, be accepted in the future. Another update edit 2018 is ready to download. It does not make too many changes, but corrects several errors, and improves the game balance. This version also updates the set makers to 50 version which adds a 194. About three years ago I mentioned You about that on the portal PolakPotrafi I supported the crowfounding of book about game design by Jacek Wesołowski and the team Wonderland Engineering (Wszechświetności Engineering) entitled: Engineering games. Level design for beginners. As part of the prize, in addition to the e-book, I chose the Business. Since then, there have been a few versions of the game, in which I included part of the comments and suggestions contained in the prepared by Jack document. Where such a surge of nostalgia? Well, more than a dozen days ago started a new project of the same team. This is again a book dedicated to designing games, this time, however, the more extensive and more comprehensive. Its title is Designing experience. Mechanisms, emotions, narration. As announced in announcement the first update to the 2018 Edition is ready for download.